A groundbreaking potential solution to homelessness and poverty is now a reality thanks to a company called Apis Cor. 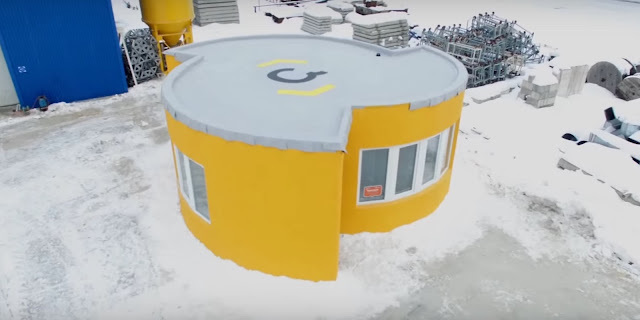 The company, based in Russia and San Francisco, has developed the capability to 3D-print an entire house in just 24-hours. What sets Apis Cor’s product apart from the rest is that its mobile printing technology can print everything right on site. Prior to this method, portions of the house had to be made off-site and then transported. However, thanks to Apis Cor, that costly process is now a thing of the past. Once the printer finishes the house, it is removed with a crane and the roof is then added, followed by interior fixtures, fittings, and paint. As ZeroHedge points out, the initial house consists of a hallway, bathroom, living room and kitchen and is located in one of Apis Cor’s facilities in Russia. The company has claimed that the house can last up to 175 years. This incredibly cheap and efficient home only costs $10,134. Below is a brief video of this amazing process. The 400-square-foot home is breathing new life into the industry of 3D printing. Imagine the capabilities this technology when applied to poverty-stricken areas throughout the globe. The implications are nothing short of revolutionary.